Angela Kubicke gave the Senate Government Operations Committee a first-rate Latin lesson Wednesday — and schooled a bunch of internet trolls. 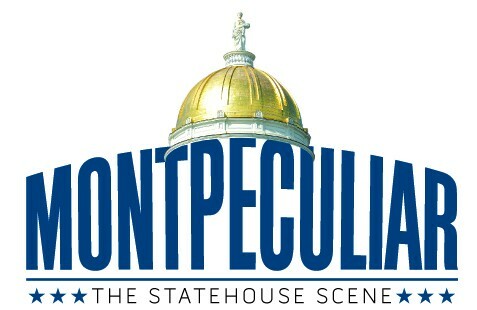 Last spring, the Riverside School eighth grader wrote Sen. Joe Benning (R-Caledonia) to suggest that Vermont adopt an official Latin motto: Stella quarta decima fulgeat — or, "May the 14th star shine bright." 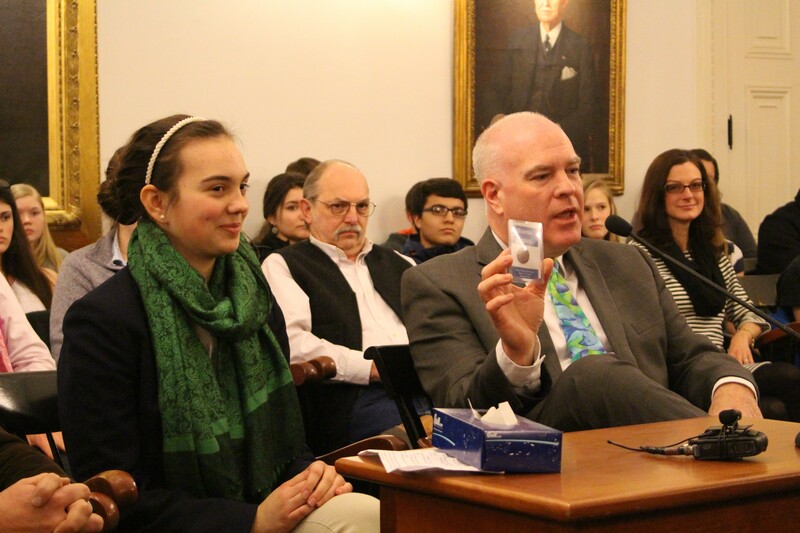 Now a ninth-grader at St. Johnsbury Academy, Kubicke testified Wednesday in favor of legislation that would do just that. After a mere 45 minutes of discussion, the committee unanimously approved the bill — with Sen. Chris Bray (D-Addison) voting "affirmativus" — and sent it along to the full Senate. "I think maybe not all bills go this efficiently," Kubicke remarked after the vote. "I was really excited that it passed all the way through and that I'm spreading the Latin culture. It's just keeping the torch moving." Not all Vermonters, apparently, were sure which culture Kubicke was hoping to spread. After WCAX-TV reported on her campaign last month, dozens of linguistically, geographically and historically challenged audience members posted venomous comments on the station's Facebook page, evidently confusing ancient Rome with Latin America. After Vermont Political Observer blogger John Walters documented the spectacle of ignorance, his post went viral. More than 150,000 people have clicked on it in the three weeks since, he says. Several of those who testified Wednesday made reference to the internet hubbub, including Kubicke's former Latin teacher, Roy Starling. 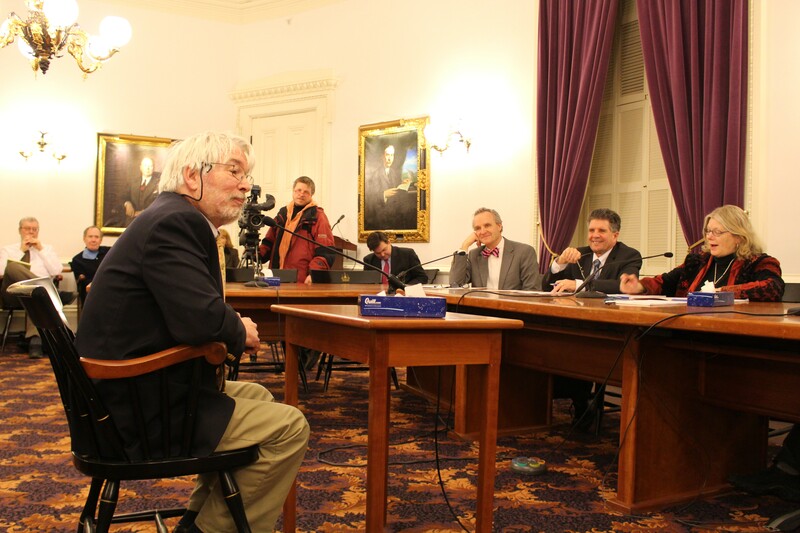 "I think passing this bill would be a loud statement against such uninformed comments," he told the committee members and several dozen students from Riverside, the Lyndon Institute and Lamoille High School. But for the most part, the hearing focused on the motto itself. As Benning explained, the words Stella quarta decima appeared on the back of a 1785 coin minted by the Vermont Republic. It was an allusion to the sovereign nation's expected inclusion as the 14th state in the union, which came to pass in 1791. Though he was billed as an "expert witness," Robert Rogers, the Lyman-Roberts Professor of Classics at the University of Vermont, confessed to the committee, "I have only been studying Latin myself for 56 years, and I'm not yet at the point where I say that I know it." That said, Rogers assured the senators that after a "moderately exhaustive search and analysis," he had come to the conclusion that Kubicke's motto met all his lexical, grammatical and stylistic expectations. "It is a complete Latin sentence," he said. "It has a subject and a verb." Moreover, Rogers said, Kubicke's decision to employ the subjunctive mood was "a particularly felicitous choice." "I'm sure I need not explain what the subjunctive mood is?" he asked to blank stares. "As a citizen, I think this is a proud acknowledgement of our heritage," Rogers said. "I like the fact that you chose the subjunctive verb because it is not overly confident, which would be the future. It is not bland and comfortable, which is the present. It is the subjunctive, which is modest and confident. We will go on — even though it is subjective and not future — we will go on with the hope that this will happen." Rogers wasn't alone in his praise. "The ingenuity and the intelligence with which this student has designed a piece of literature for us is a great, great blessing to this state," Philip Ambrose, an emeritus professor of classics at UVM, said. "Can we applaud? I think it's really wonderful." The only tough question Kubicke faced was from Sen. Brian Collamore (R-Rutland), who wondered why she had chosen the word, fulgeat. "I just thought that verb was so grand in itself that— I think I considered other verbs, but that one really stood out to me when I read it," she explained. "I was, like, that needs to be in there." Added Starling, her teacher, "Fulgeat tended to show up most poetically, referring to the stars, the sun or the gleam of armor or something like that. And we felt like that was the image we wanted." Sen. Jeanette White (D-Windham), the committee's chair, did express one reservation. "My only concern with this motto is that I'm an avid crossword puzzle doer and all the time it asks for Latin mottos of different states," she said. "And all of the words in this one are too long for crossword puzzles." Later, Rogers pointed out a solution to White's problem. "You're right. There are a lot of letters," he said. "But you can always use a roman numeral and shorten it with XIIII or XIV — but the older, more elegant way is XIIII — and you'd have a shorter form of the motto without changing the sentence." "I'll suggest that to Will Shortz," White said.